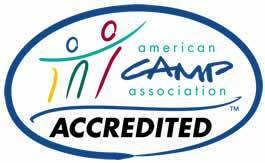 The Camp is proud to be accredited by the American Camp Association (ACA). The ACA is a national private, nonprofit educational organization which is dedicated to changing lives through the camp experience. ACA accreditation is the best evidence parents have that a camp values safety and a nurturing environment for their children. Accreditation assures parents that camp practices have been measured against national standards and go, in some cases, beyond a state's basic licensing requirements. Site and Food Service, including fire protection, maintenance, adequate sleeping and bathroom facilities and safe food handling. Transportation, including driver qualifications and training, vehicle maintenance, safety procedures, availability of emergency transportation, and camp traffic control. Human Resources, including qualifications, screening, training, supervision of camp staff and behavior management guidelines. Health and Wellness, including supervision of health care practices, availability of first aid equipment and personnel, required health information and recordkeeping, the use of recommended treatment procedures, and medication management. Operational Management, including safety and security regulations, emergency procedures and communications, risk management planning, and insurance. Programming, including activity leadership qualifications, safety regulations, staff/participant ratios, and procedures for conducting both general and specialized activities such as aquatics and adventure challenge activities. 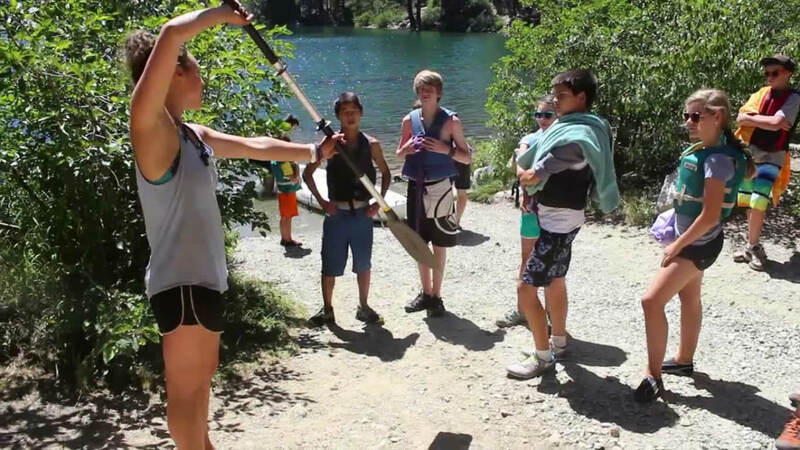 By selecting an accredited camp, you are selecting a camp that has met industry-accepted and government-recognized standards for your child's safety and a quality program.